Rick Jenkins and the his Gold JBA WK will be attending the following events. August 6-7th Four Corners Wounded Warrior Extreme On the morning of the 6th there will be a 4x4 parade escorting 14 of the wounded Warriors to the glade for some 4 wheeling fun. It is starting at the elks club. We start lining up the 4x4s around 7:30am for a 9am parade. That night our 4 wheel drive club will have a BBQ for our guys and the Warriors. Sunday will be another day on the rocks. This will be the 6th annual. We will have vendors, show vehicles, a swap meet and a flex ramp. There is a great turn out for this event. This year we will be having it at the FARMINGTON Museum from 10am to 3pm. September 9th WEROCK Tech and Fall Crawl We will be meeting downtown for a show and shine called fall crawl. 6pm to 9pm. September 10th and 11th WEROCK Grand Nationals in Farmington, NM. 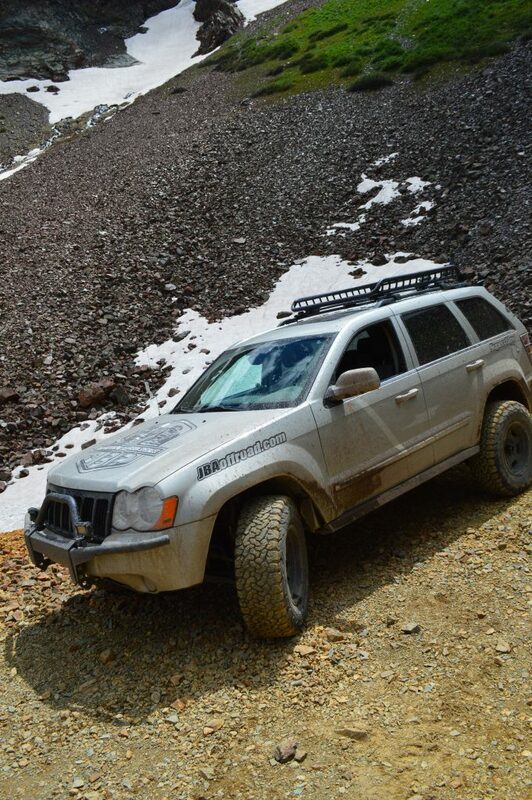 September 15th - 17th Jeep Jamboree USA In Ouray, CO Rick will be out as an official trail guide for the event. Come out an see Rick Jenkins and his JBA WK.